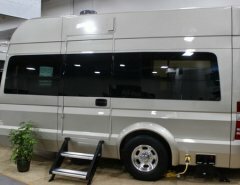 MSRP: Starting at $11,500 USD. 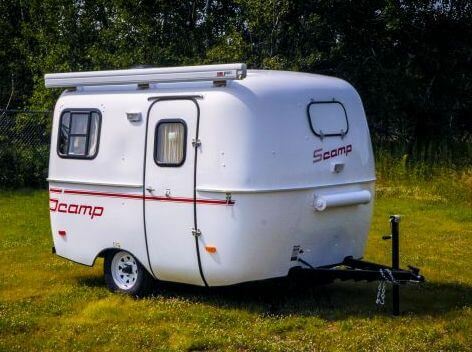 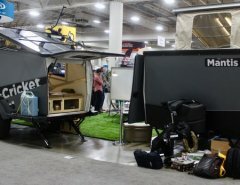 If you like the idea of a small, lightweight trailer without the inconvenient setup, then the 2015 Scamp 13′ camper is the perfect trailer for you. 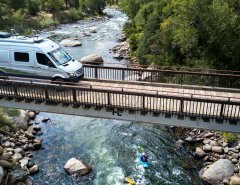 Join the thousands of Scamp owners who have logged millions of miles in the ever-popular Scamp 13 foot travel trailer. 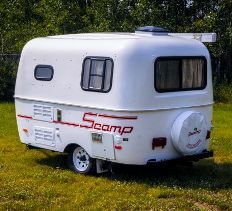 This trailer is compact and affordable, the Scamp 13 foot rv is great for couples or small families. 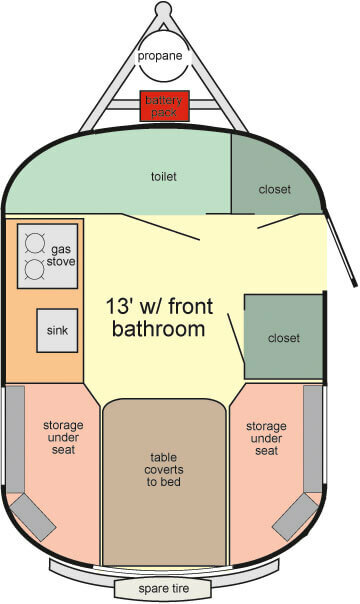 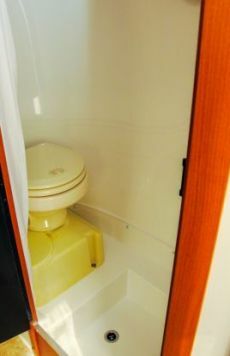 The front of the layout 2 floorplan contains a bathroom with a toilet and shower. 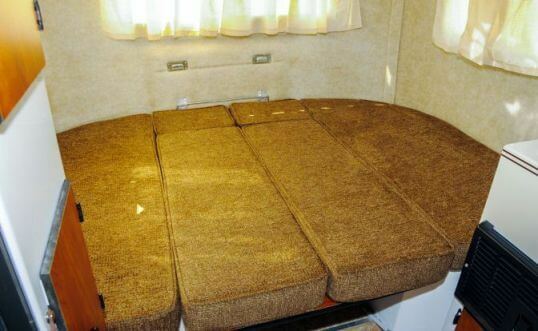 The interior is upholstered in brown, with brown or blue cushions, brown carpet and beige curtains. 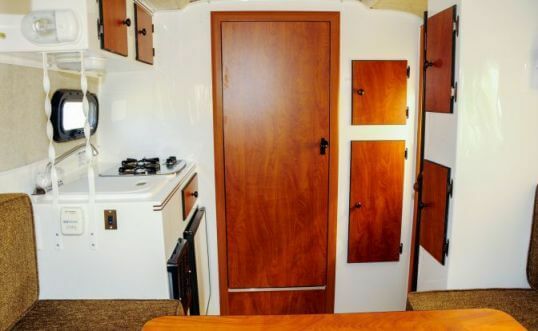 Fiberglass cabinets and wood panel doors complete the interior. 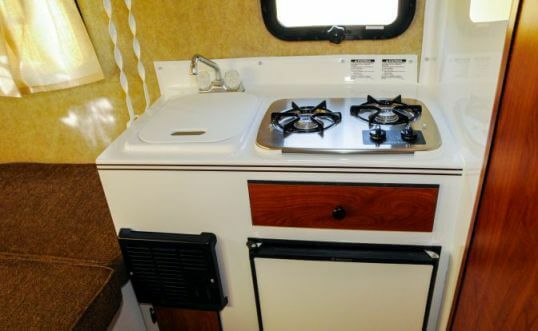 Add to that the galley which provides the basics to cook you families meals. 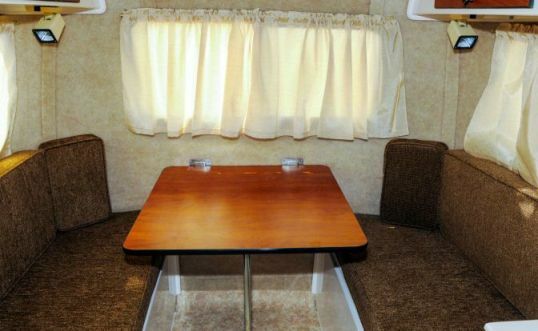 The rear dining area converts to a double bed, providing sleeping space for two to three people.